Do you enjoy camping, but don't want to leave the comforts of your own home? 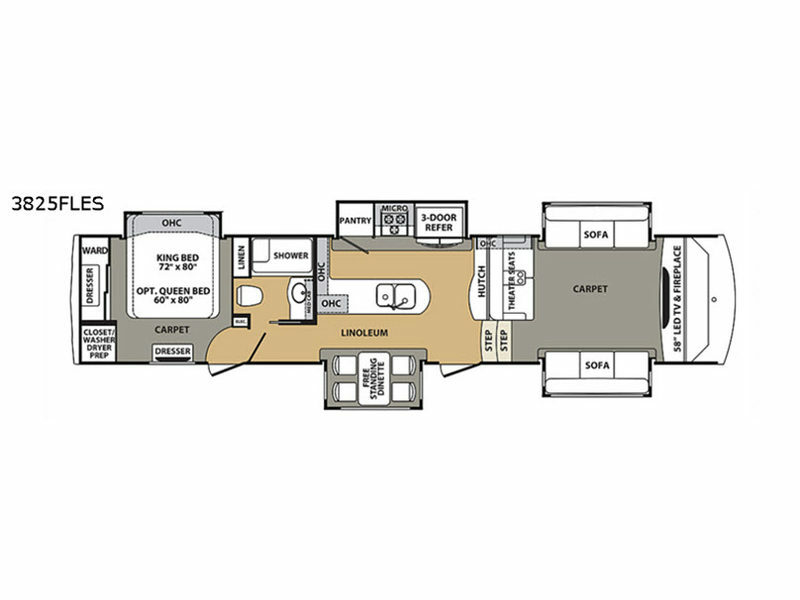 Well, this Forest River Cardinal Estate 3825FLES fifth wheel can give you that "home away from home" feeling. You will be amazed at all of the comforts and pleasures this unit provides. It features a front living area that is comprised of theater seating, two sofas, a fireplace, and a 58" LED HDTV creating the perfect place to socialize with your family or friends. The double entry allows you to have a smooth flow of traffic going in and out of the fifth wheel. You can easily store enough food for your trip inside of the stainless steel three door refrigerator. After an exciting day outdoors, you can be assured that you will experience a comfortable night's sleep laying in the deluxe king bed.